The requirements for health and safety signs are more complex than ever. From retail and commercial property to vehicles requiring specific warning signs for materials carried, you must comply with the law. Signtec can provide all types of signs to keep you legal. Whilst we don’t carry any stock of pre-made signs, we can quickly manufacture anything you require and can offer help and advice on current requirements. We can provide signs on adhesive vinyl, plastic, aluminium or perspex with or without anti graffiti laminate, for inside or outside of glass. Whatever your requirements, come and talk to us. 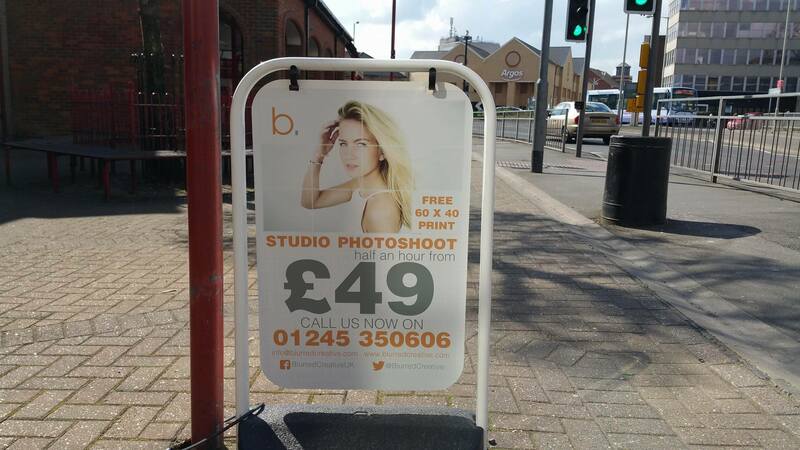 We offer a comprehensive range of A-Boards to help promote your business. Pavement signs are a proven and cost effective advertising method. We carry a range of models starting as low as £110.00 + vat complete with either posters or printed graphics. Models we don’t have in stock, take about 3 days from order to delivery. There are no hidden costs, all design and printing is included in our prices. We also carry a range of all plastic a-boards and sign frames that are extremely versatile and hardwearing and excellent value for money. WHAT KIND OF DESIGN ? A Board : Economy poster board which comes in a range of sizes. Booster : The most popular board, comes in 3 sizes with either poster of permanent graphics.